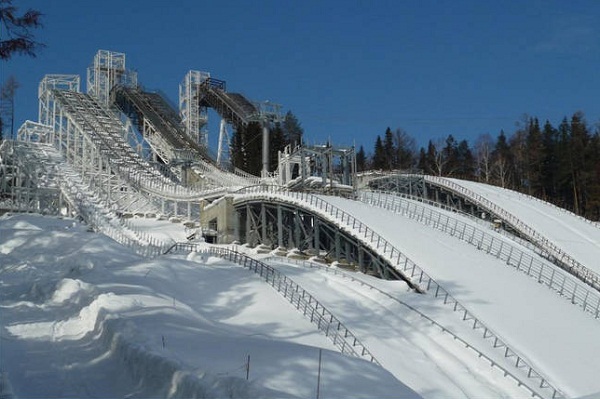 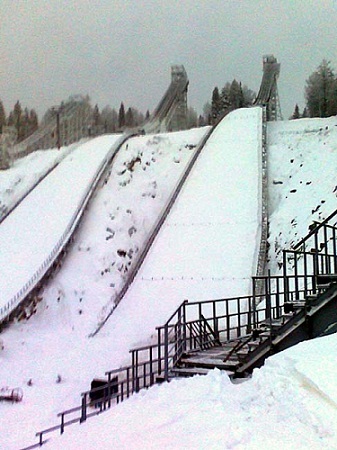 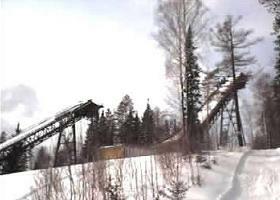 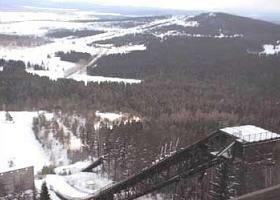 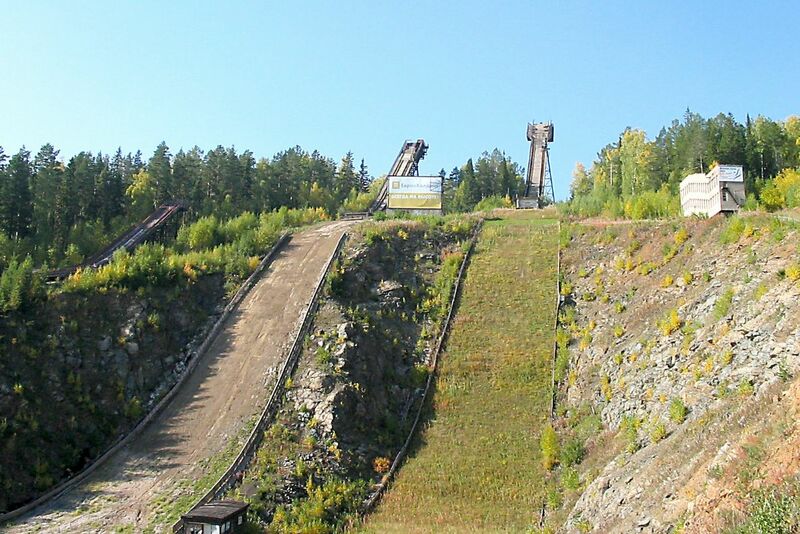 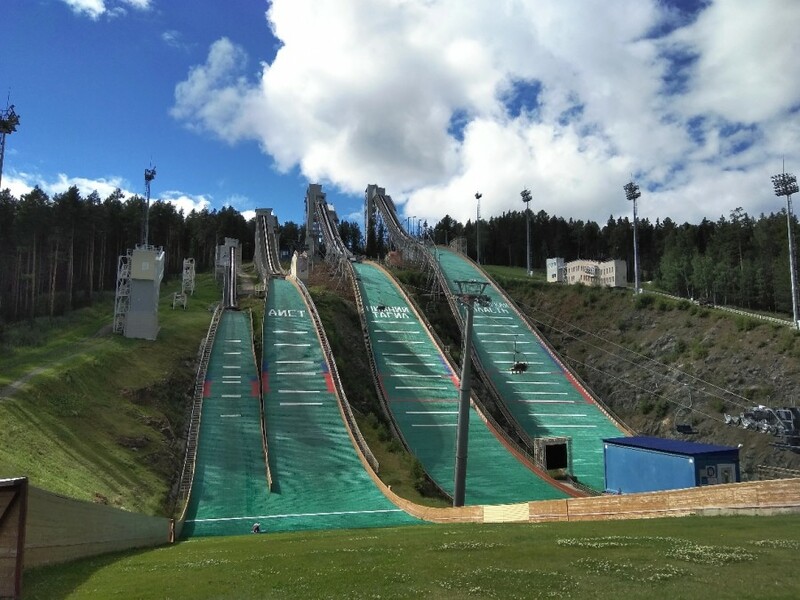 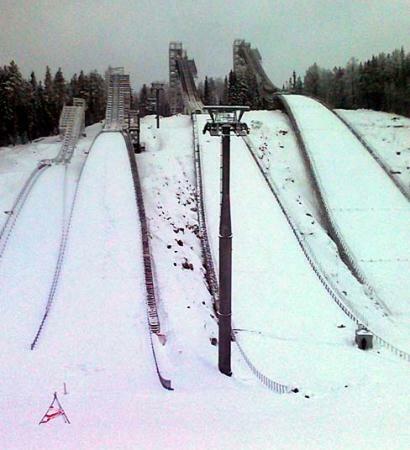 Nizhny Tagil is one of the most important training centres of the country for Russian ski jumpers and Nordic combined. 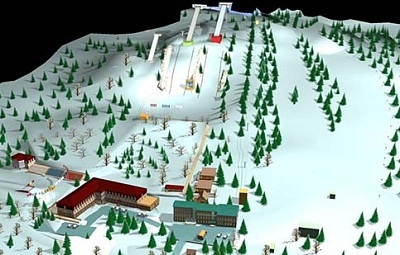 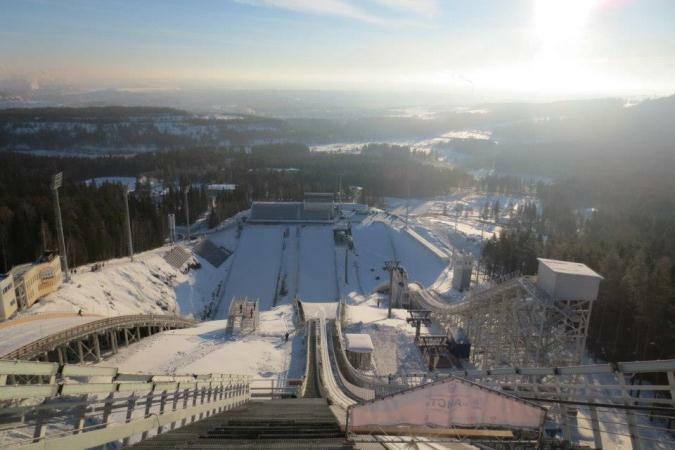 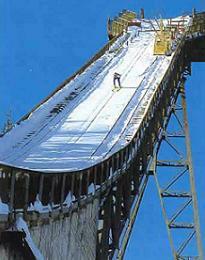 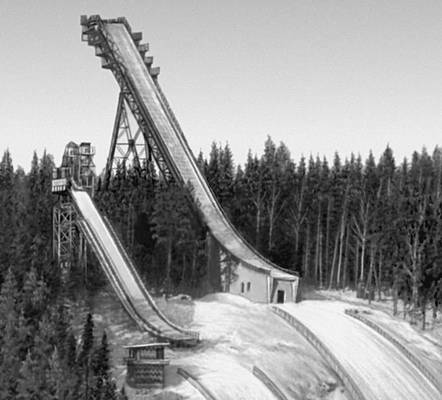 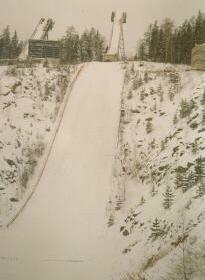 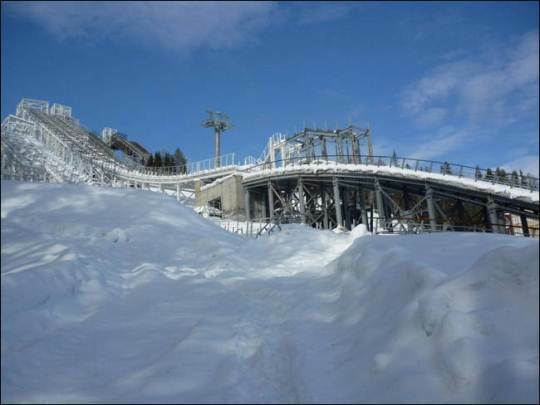 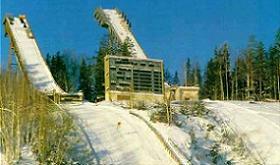 In 1970 the skiing centre with five ski jumping hills at “Long Mountain” (K110, K90, K40, K20, K10) was constructed. 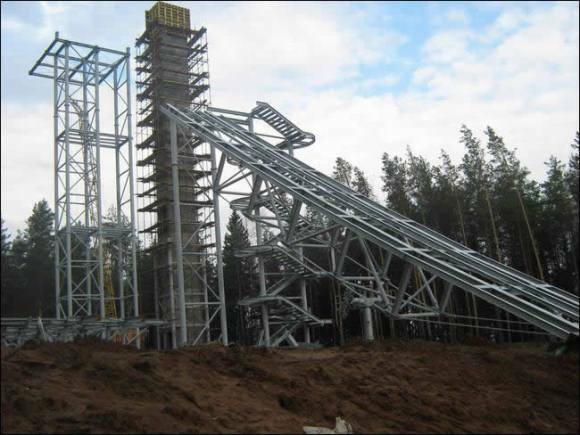 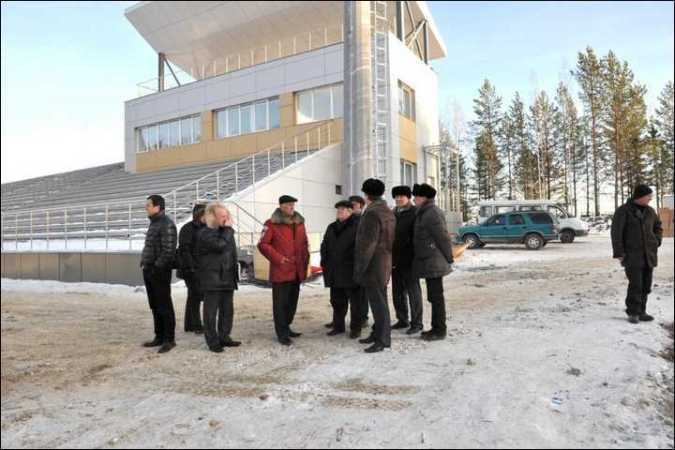 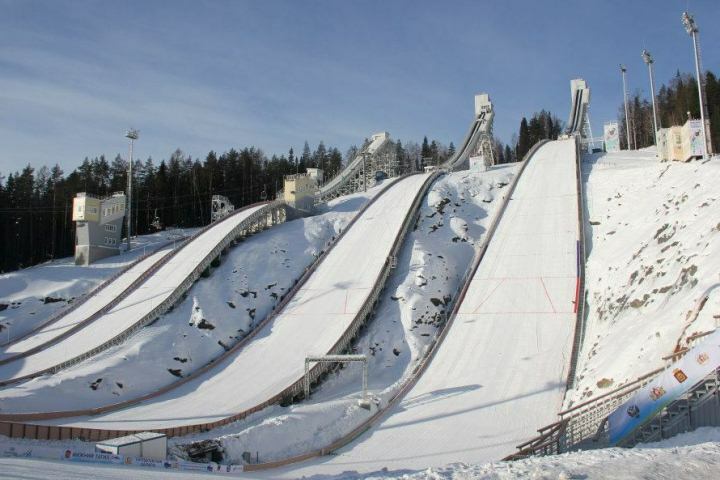 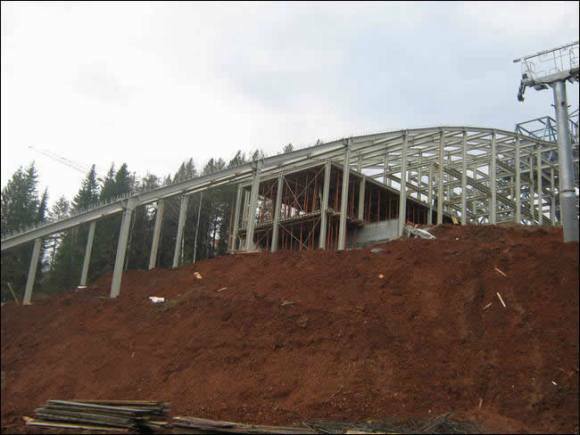 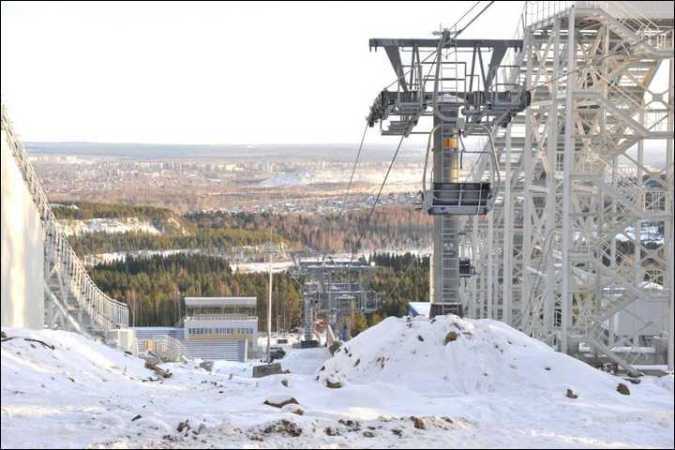 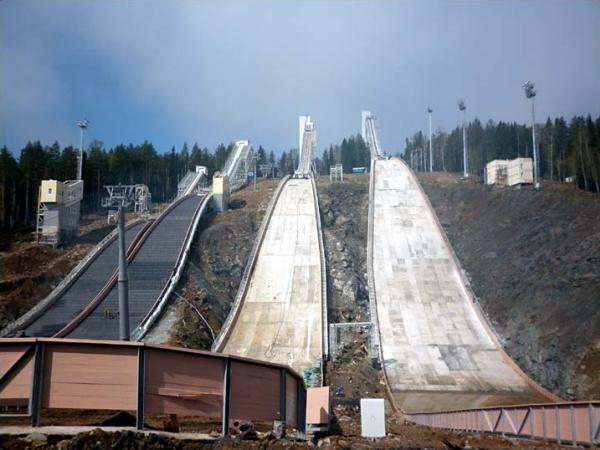 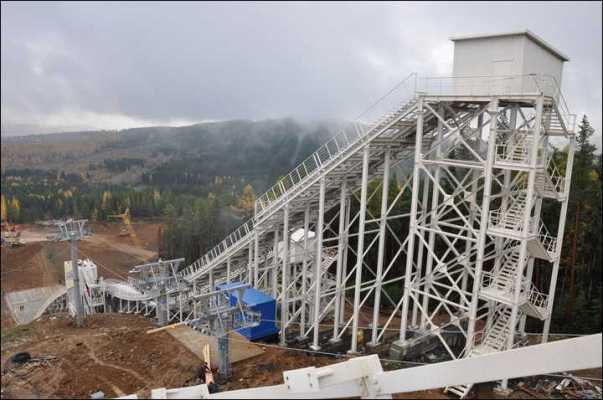 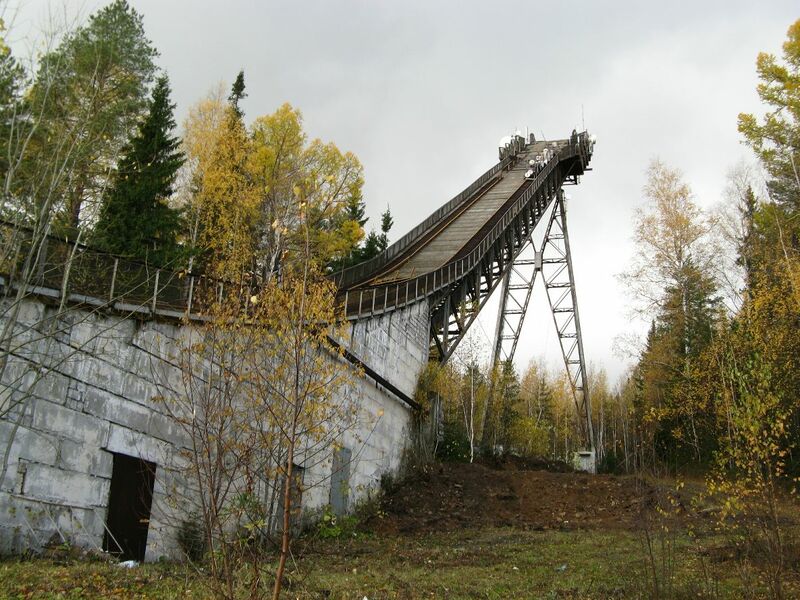 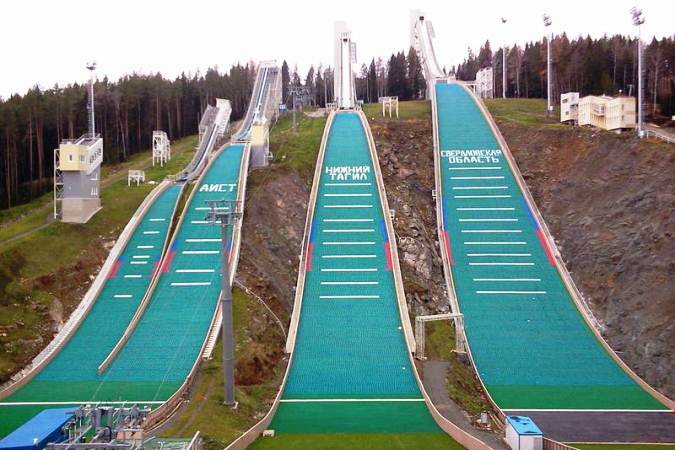 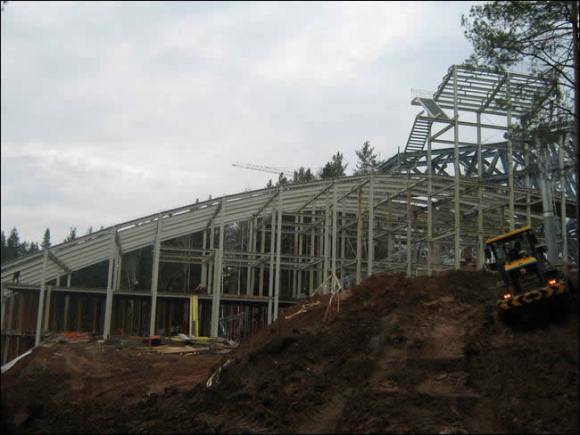 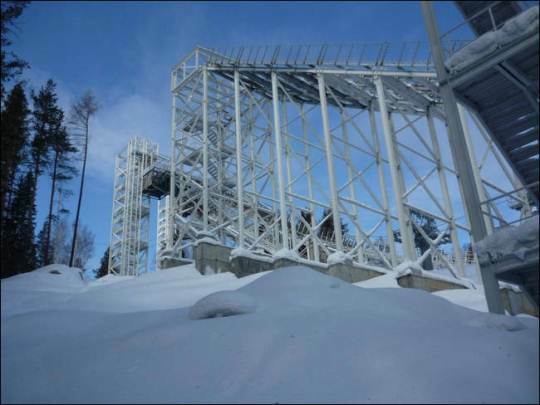 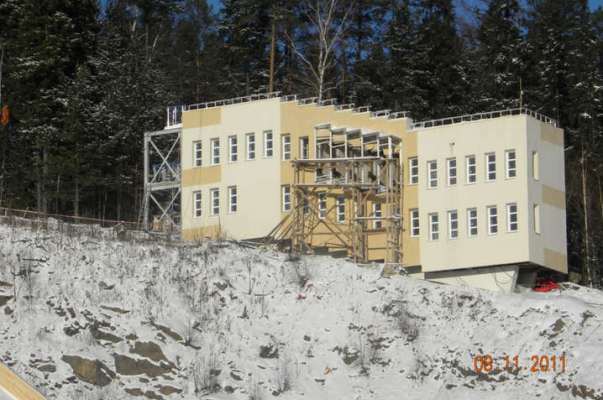 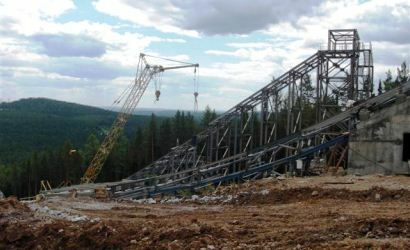 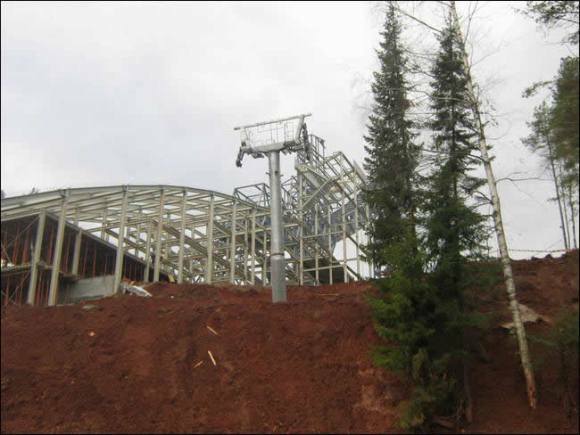 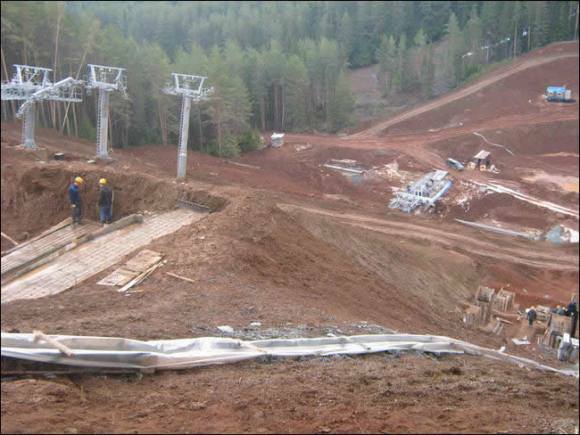 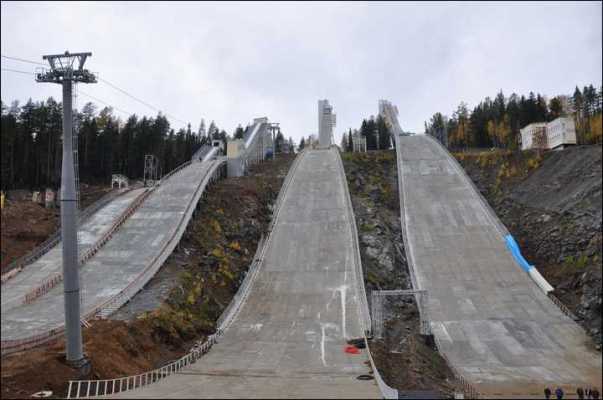 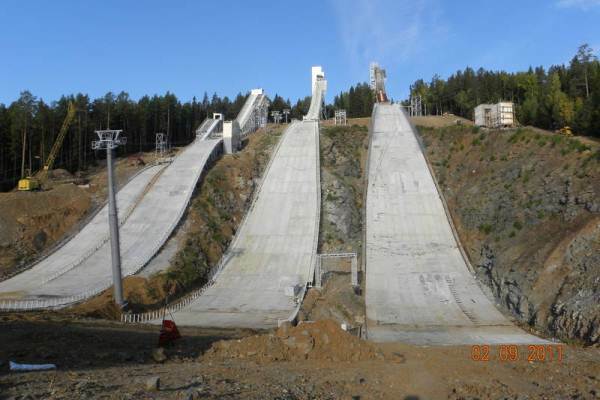 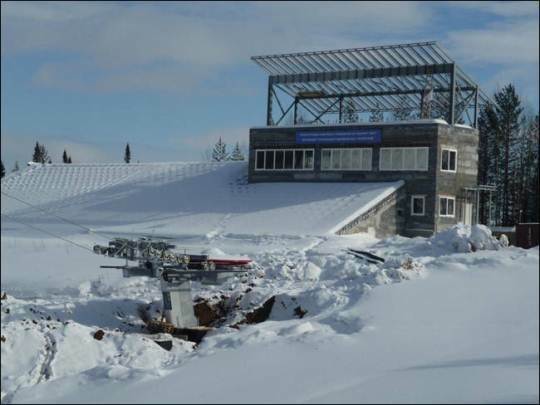 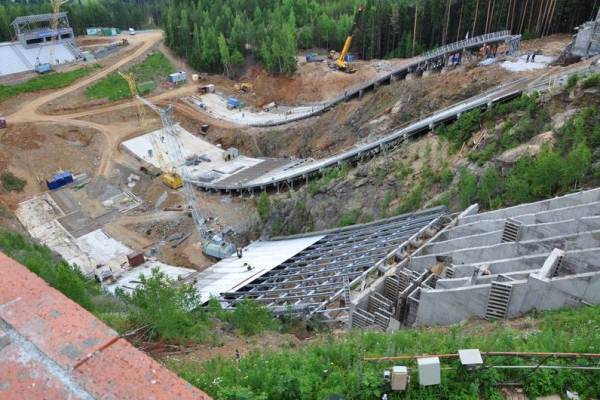 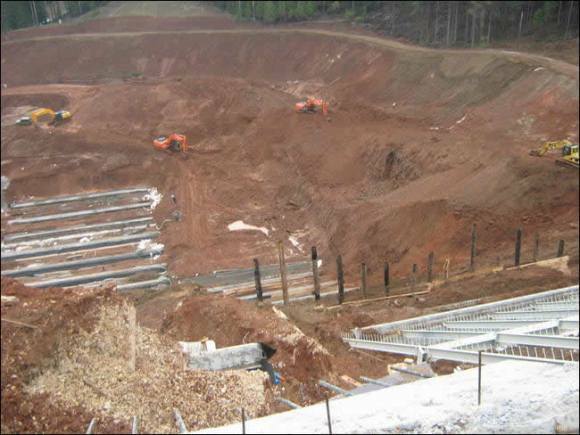 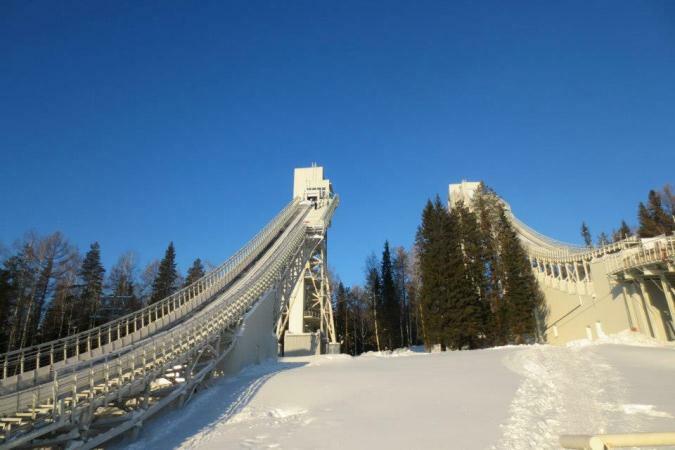 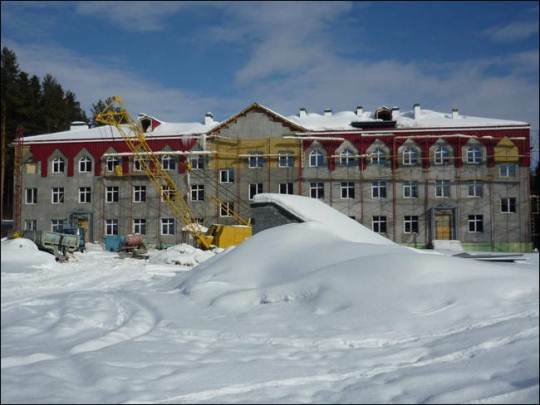 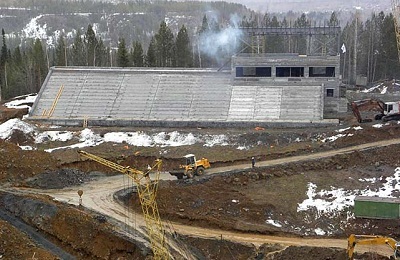 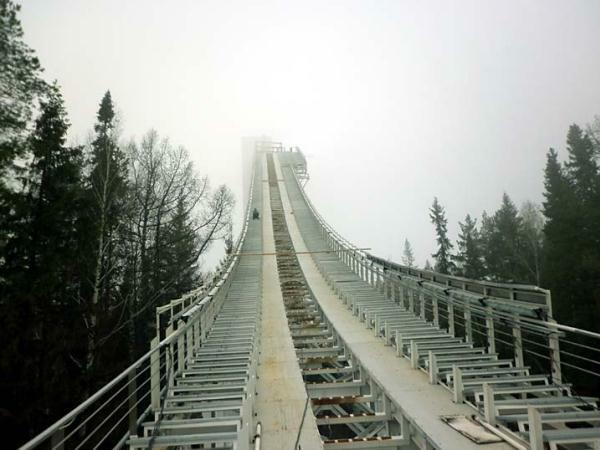 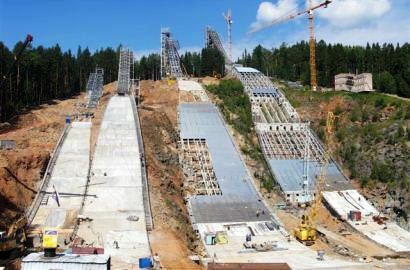 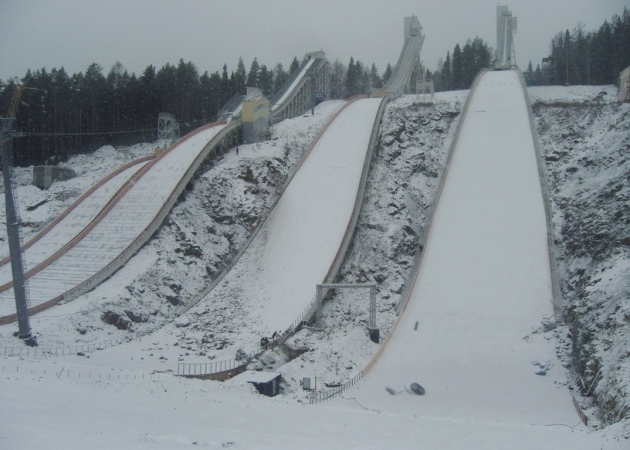 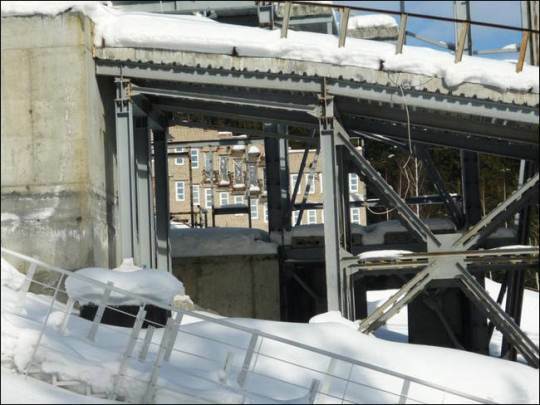 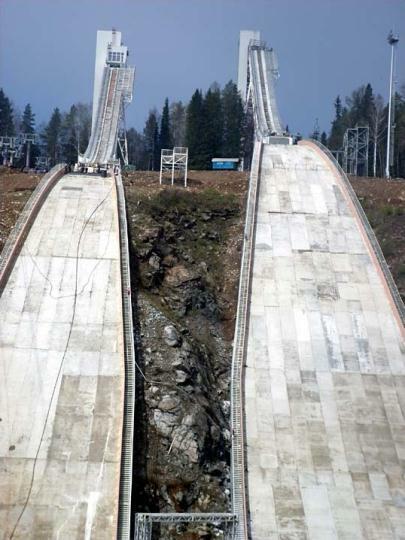 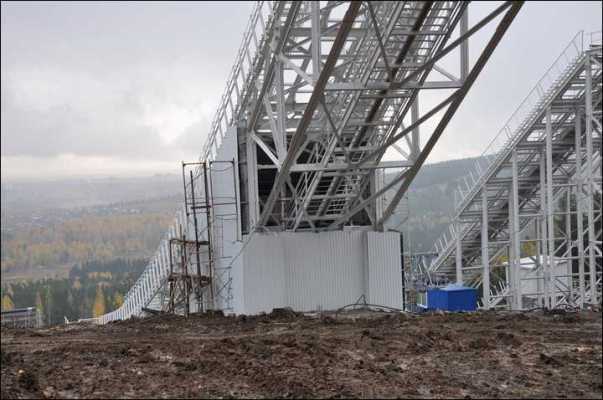 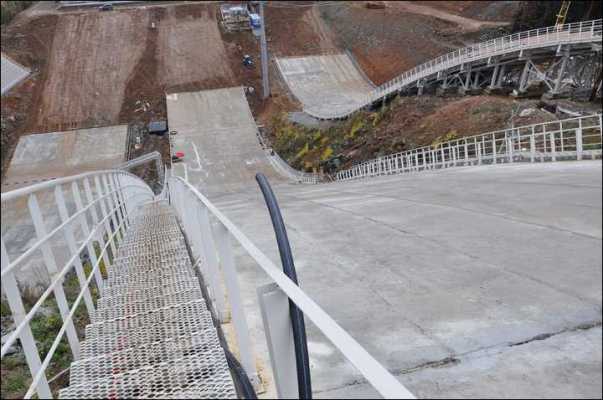 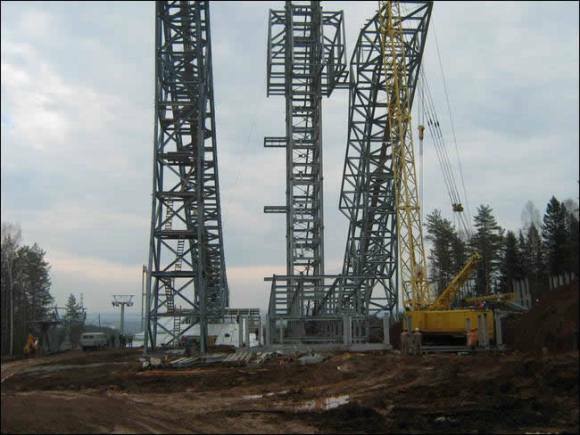 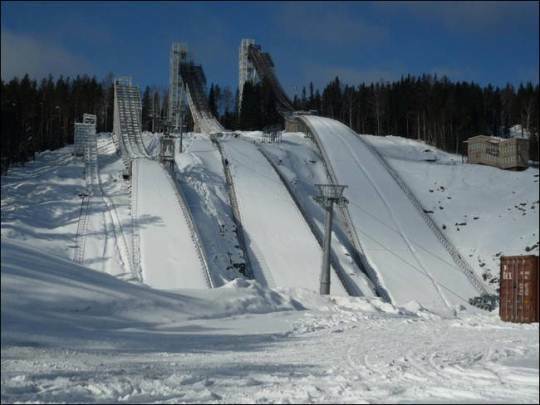 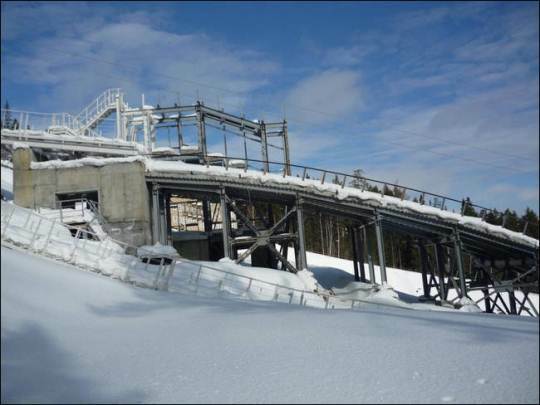 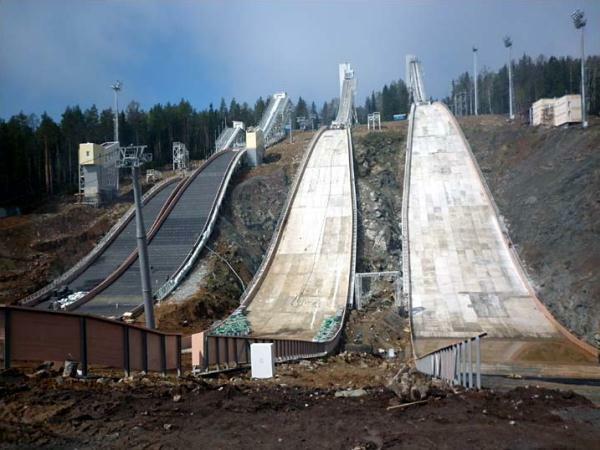 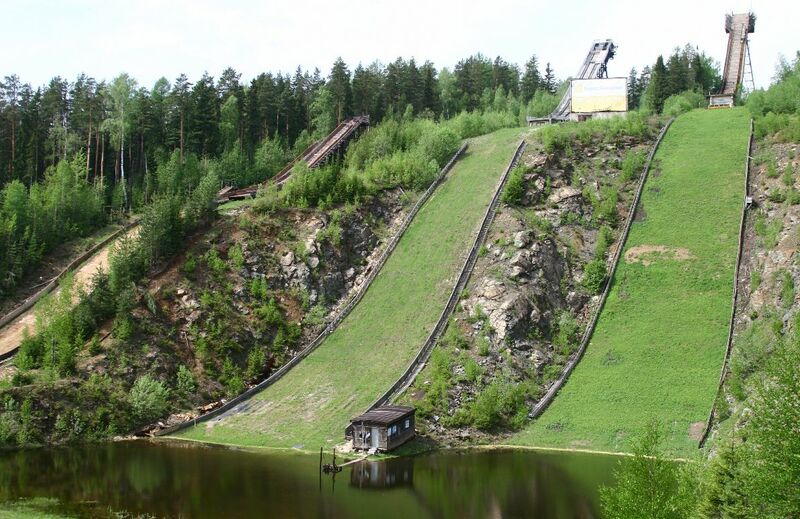 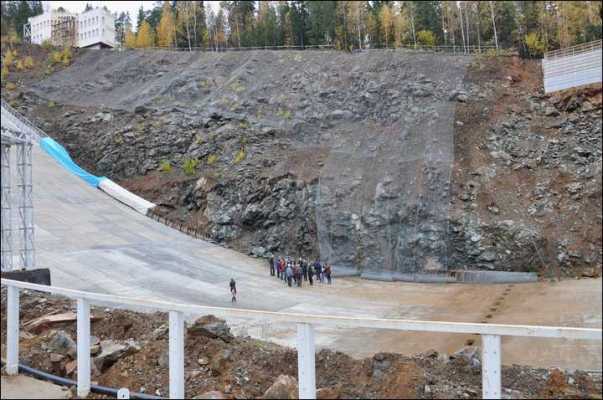 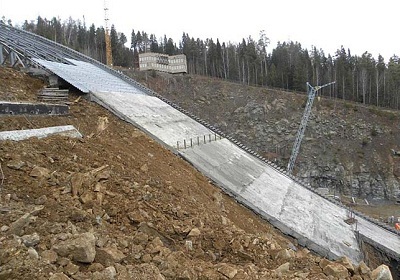 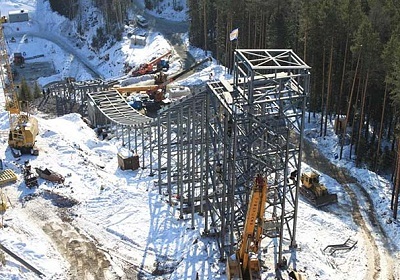 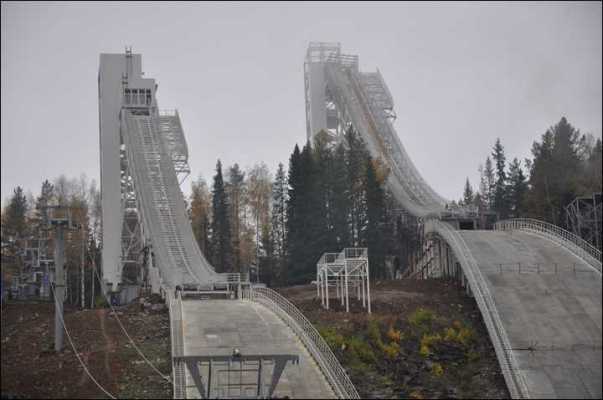 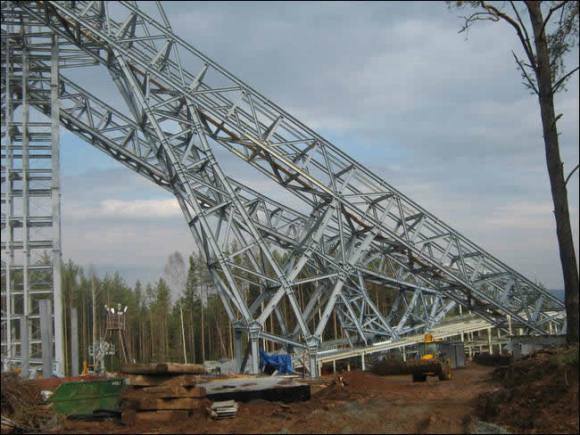 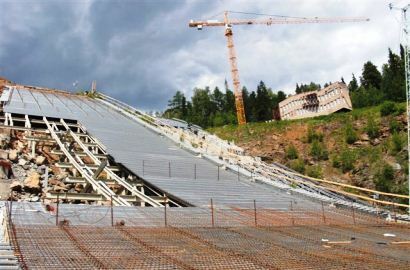 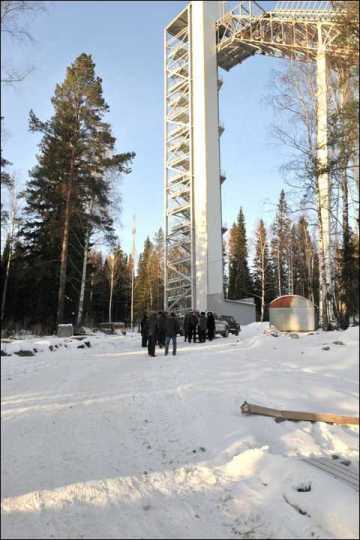 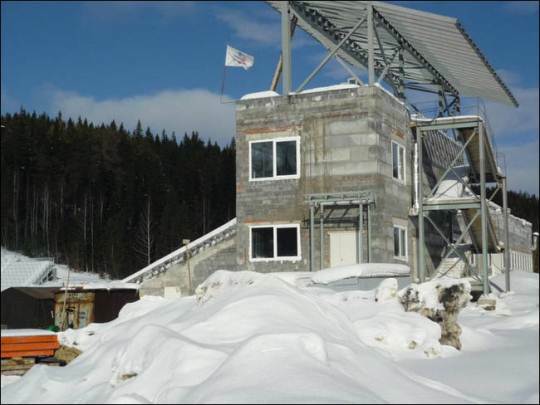 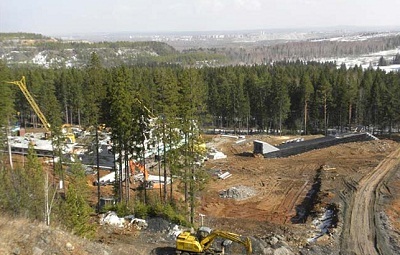 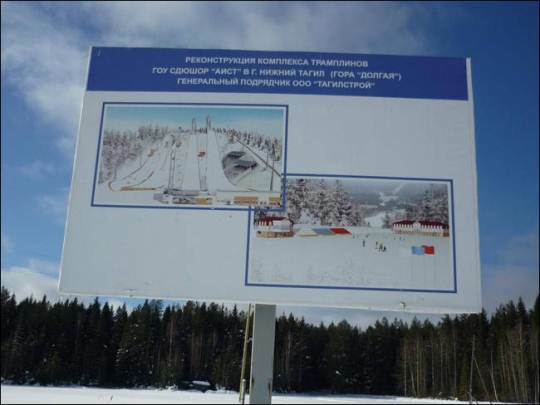 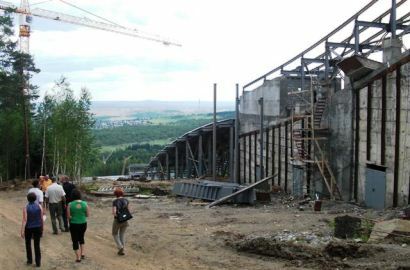 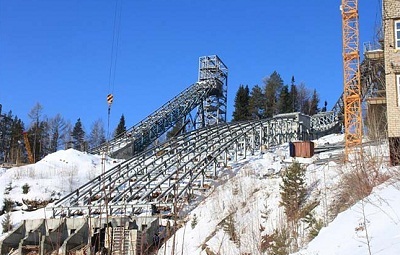 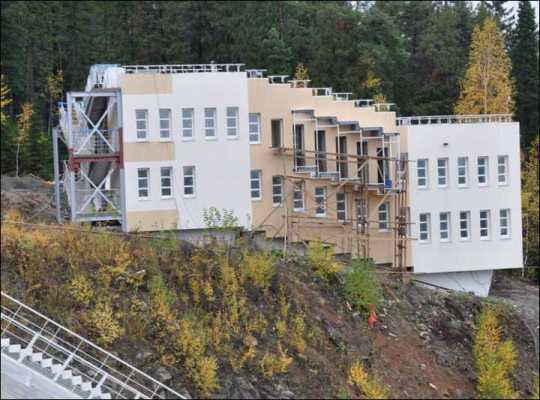 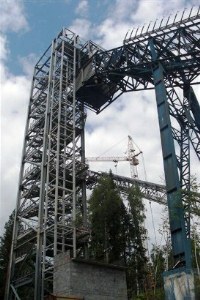 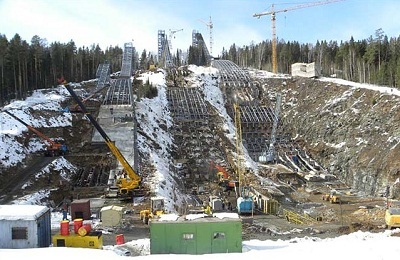 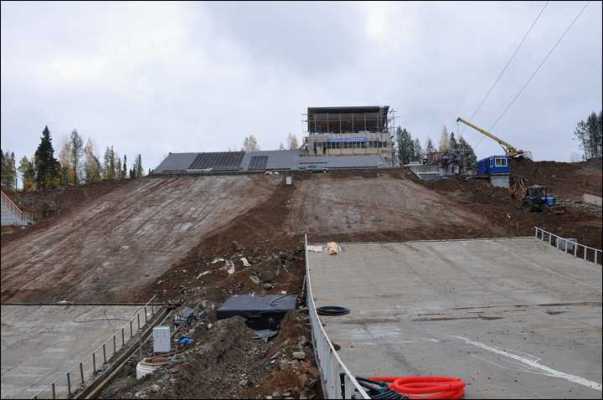 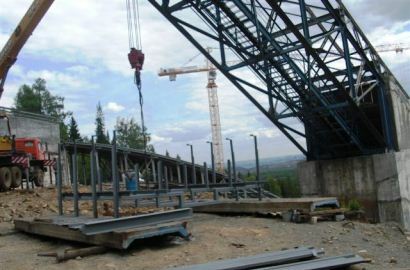 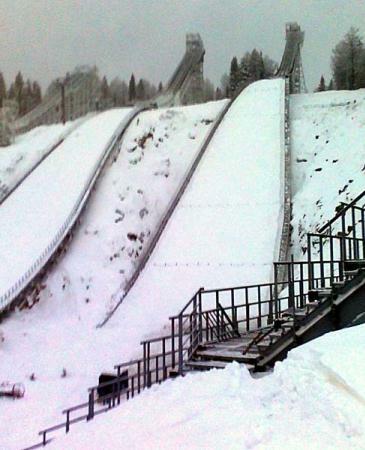 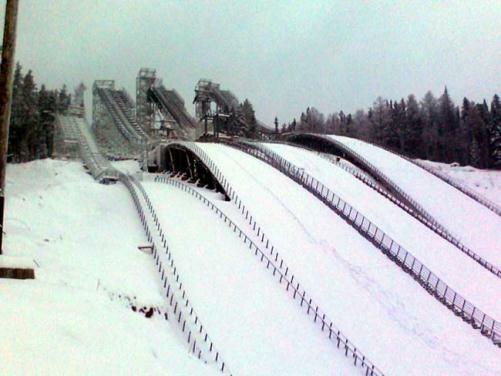 In the frame of the Russian sports infrastructure and culture program the renovation of the “stork” ski jumping facility has started in 2009. 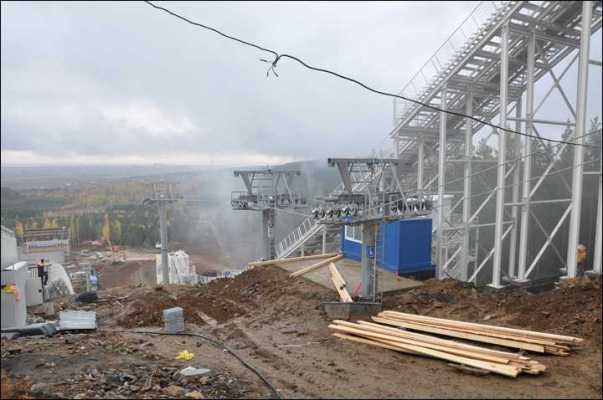 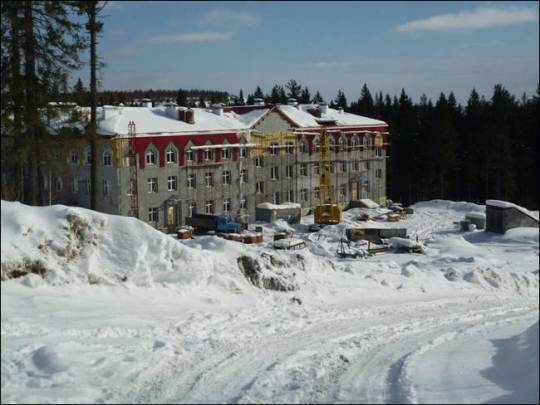 Beside the construction of four ski jumps K120, K90, K60 and K40 with plastic covering and floodlights, stands for 2,000 spectators, ski lifts, a cross-country skiing stadium and trails, as well as a sports hotel are being built for a total of around 2 billion Rubels (50m Euro), in order to provide Russian athletes a perfect preparation for the Olympic Winter Games 2014 at Sochi. 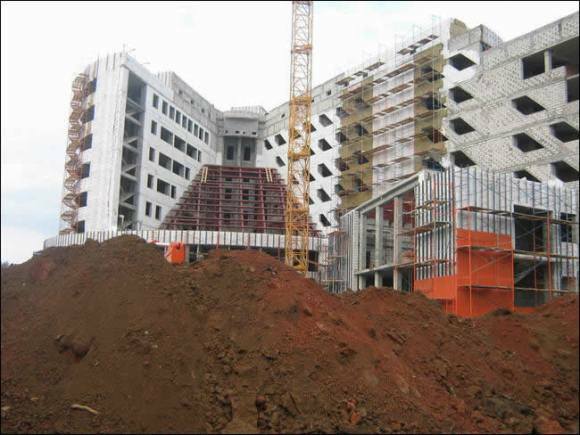 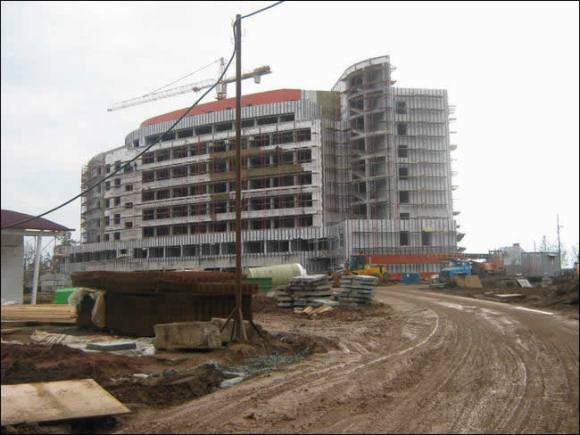 During the year 2010 the construction works ceased since financial means were not flowing as promised. 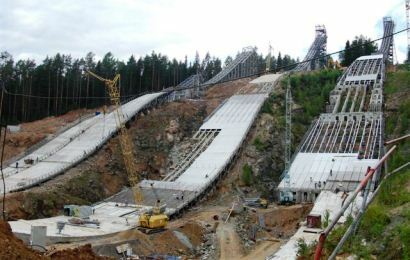 After a FIS inspection on May 4, 2011, Russia's ski jumping boss Vladimir Slavsky was concessive so that the works could continue. 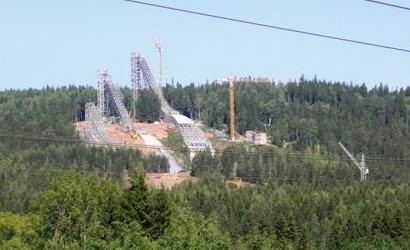 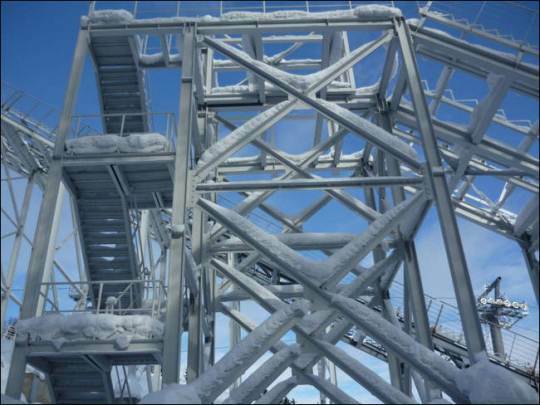 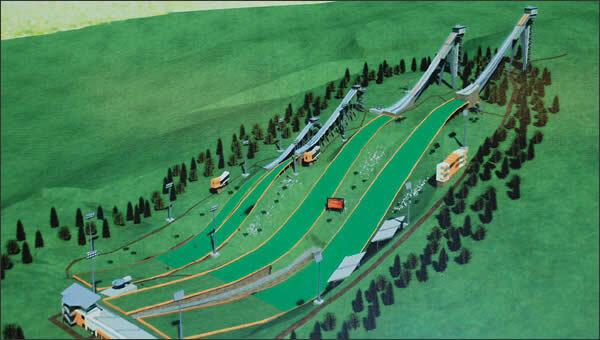 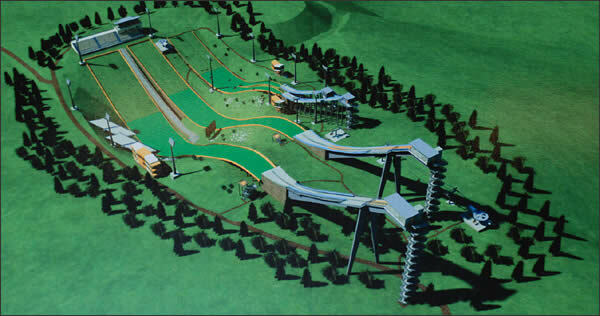 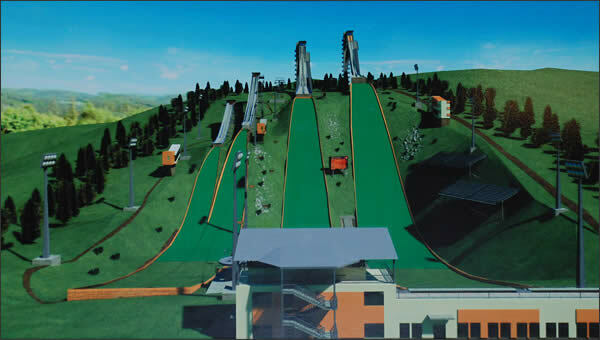 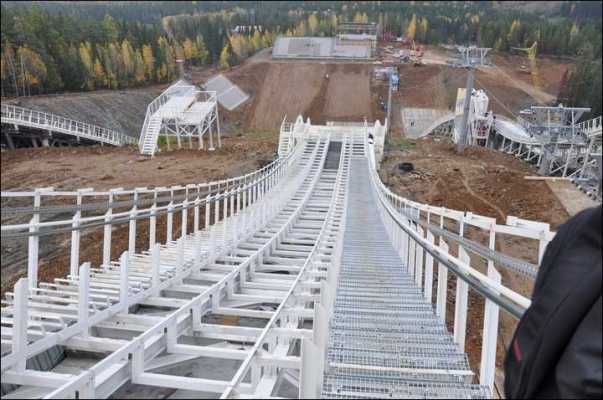 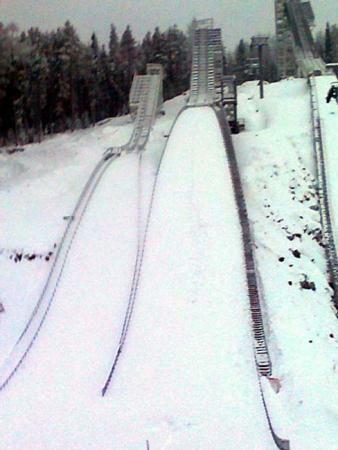 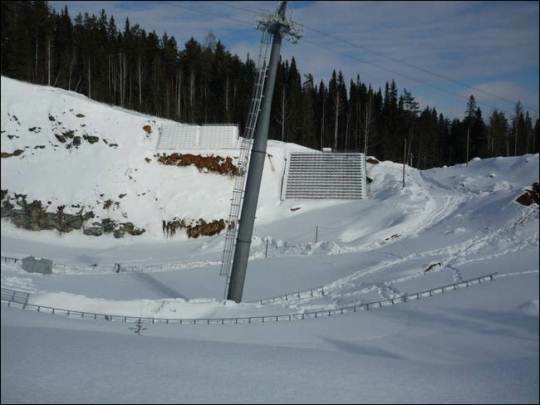 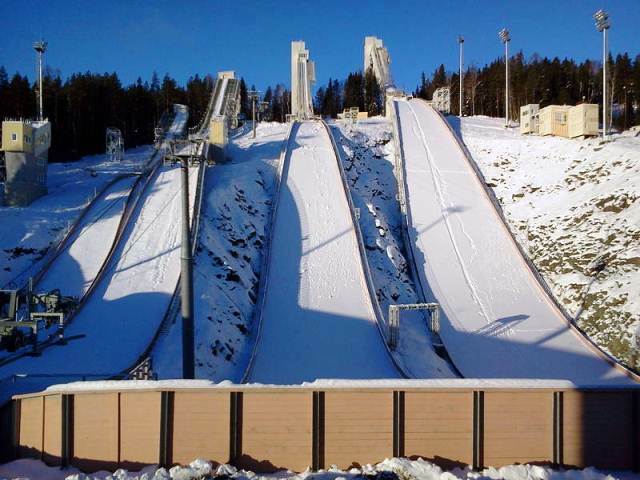 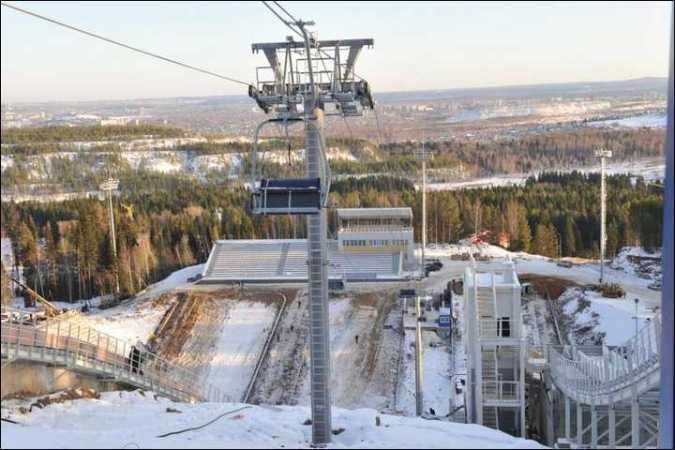 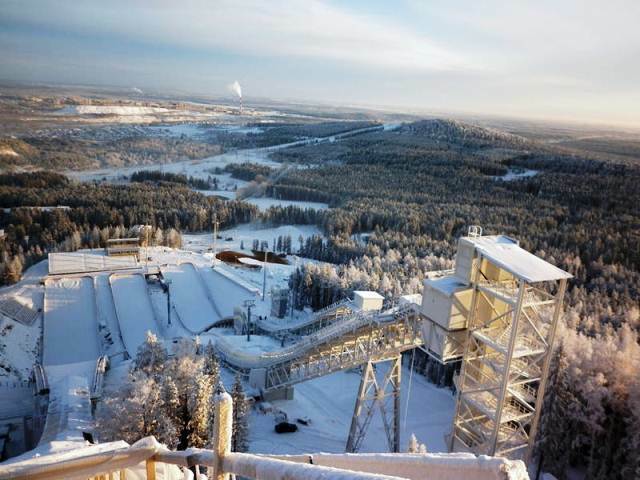 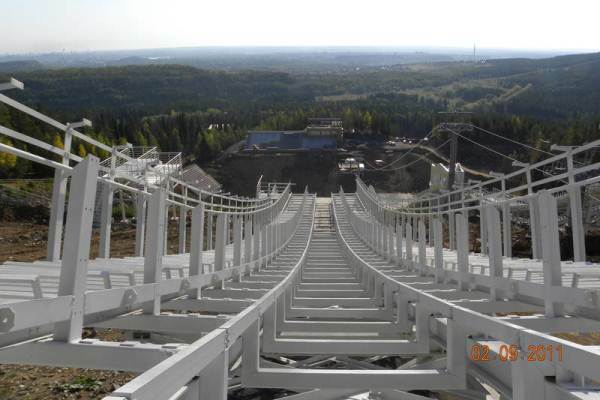 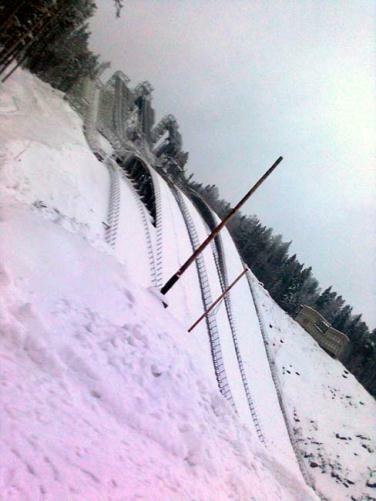 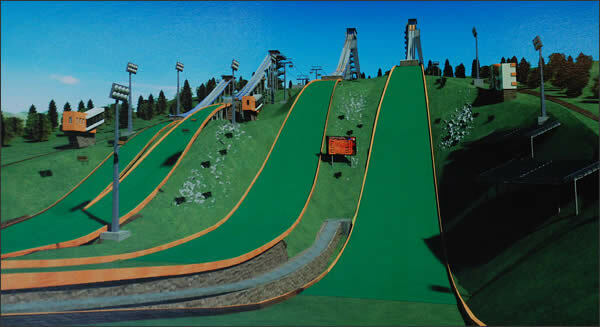 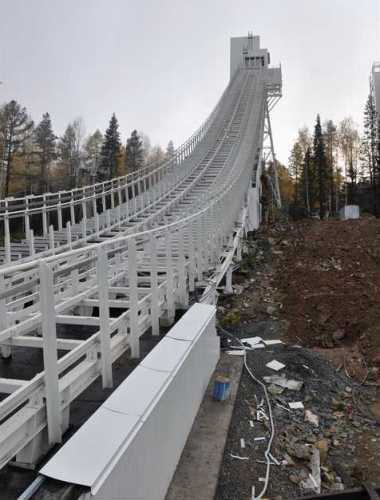 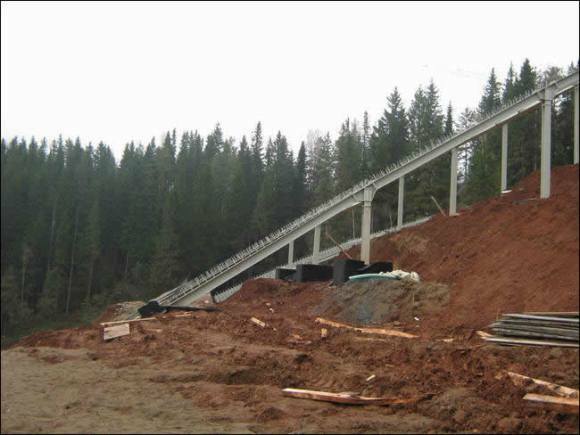 In fall 2012 the ski jumping hills were almost completed, but the SKI-LINE inrun tracks still had to be installed in December 2012. 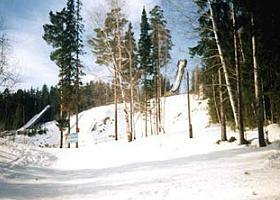 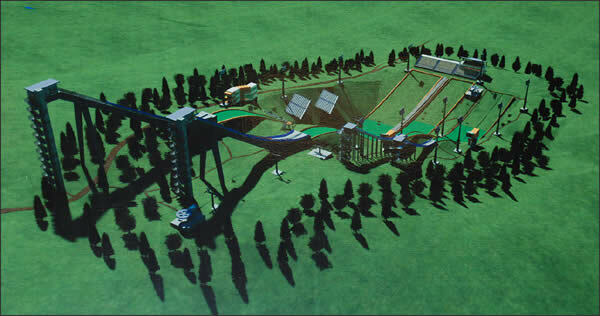 The opening and first jumps were held on December 26, 2012. 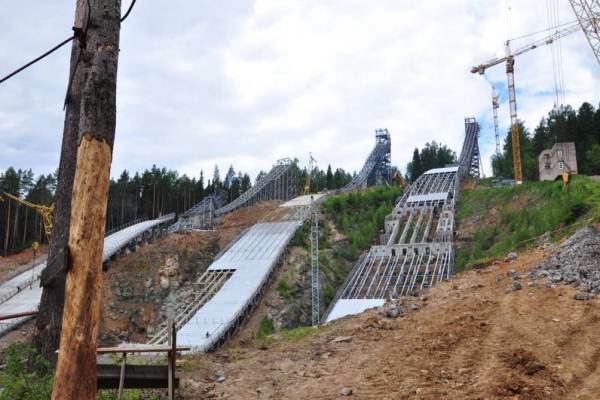 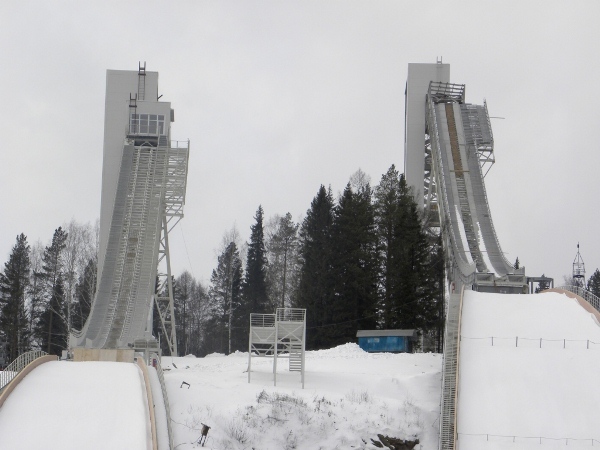 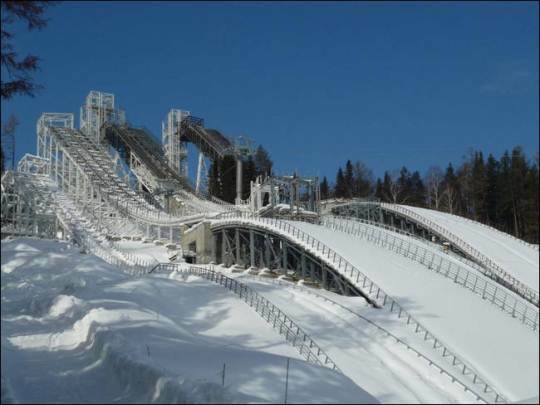 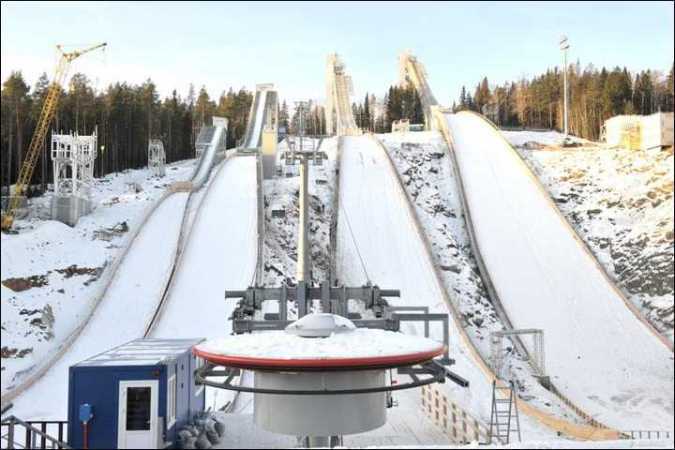 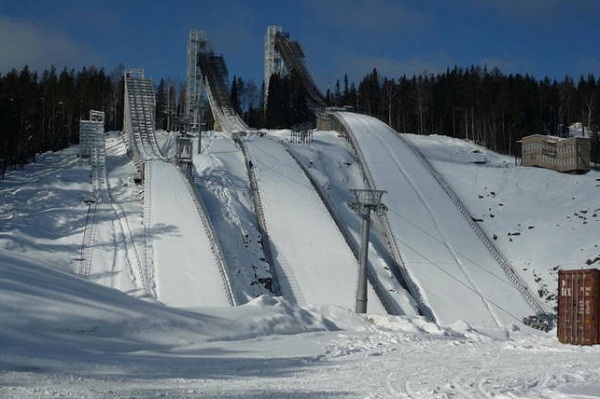 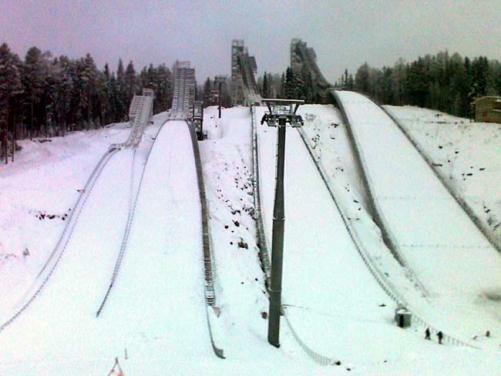 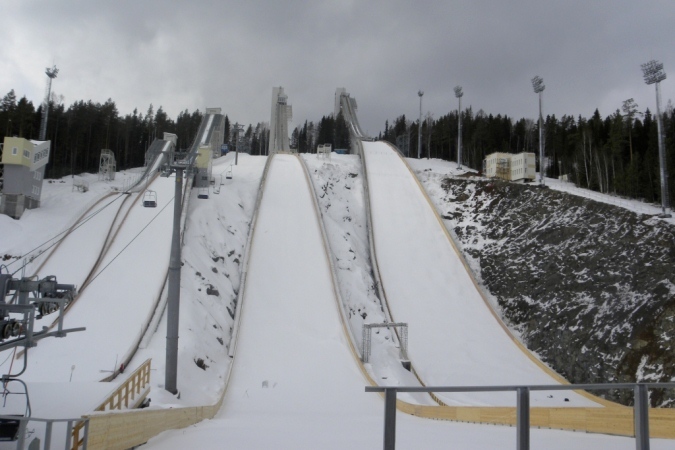 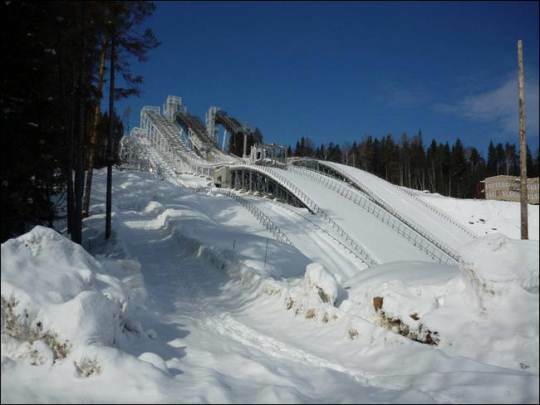 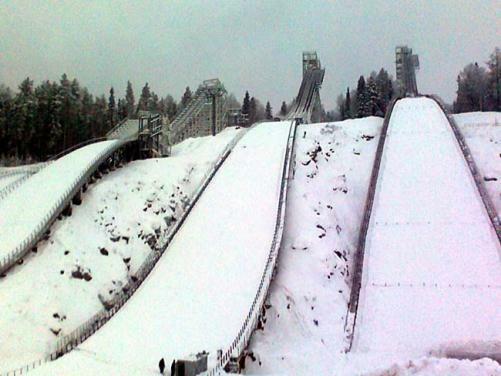 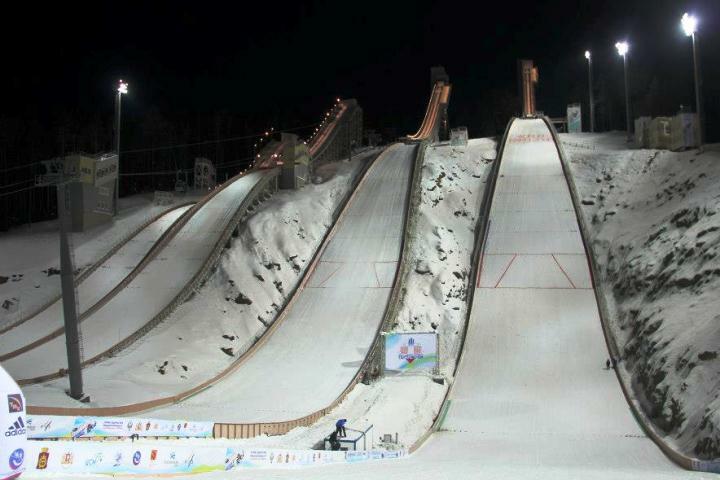 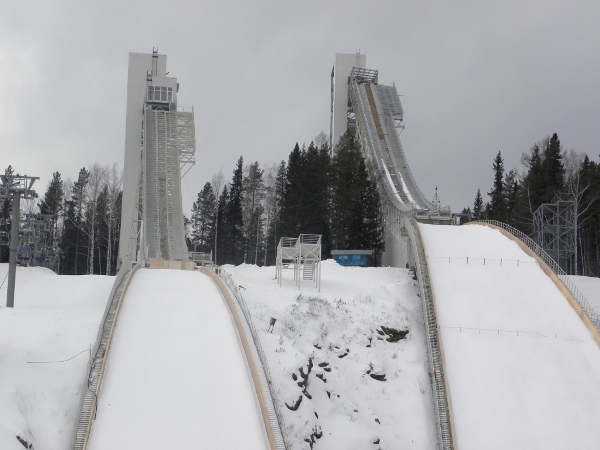 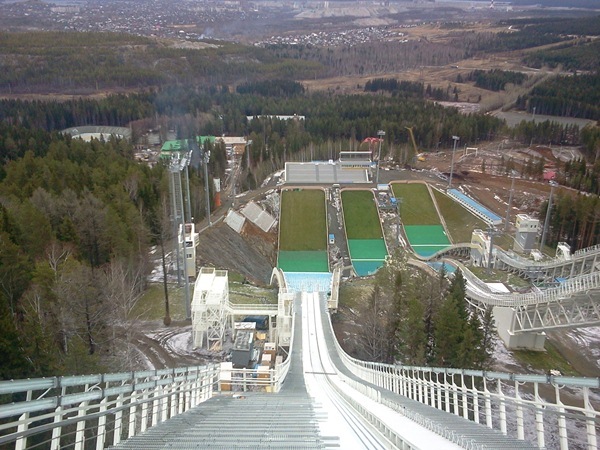 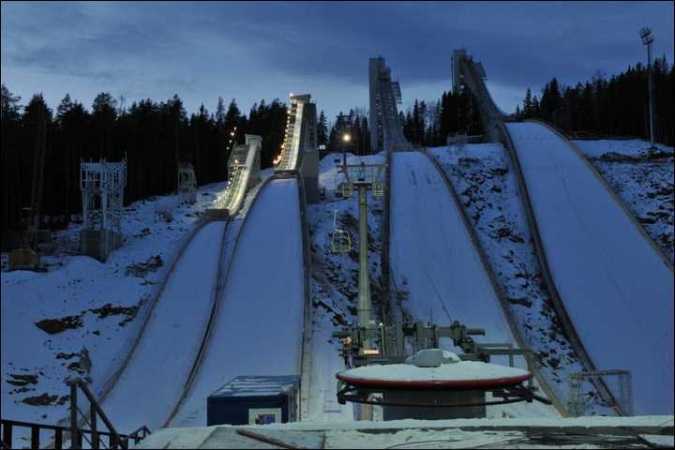 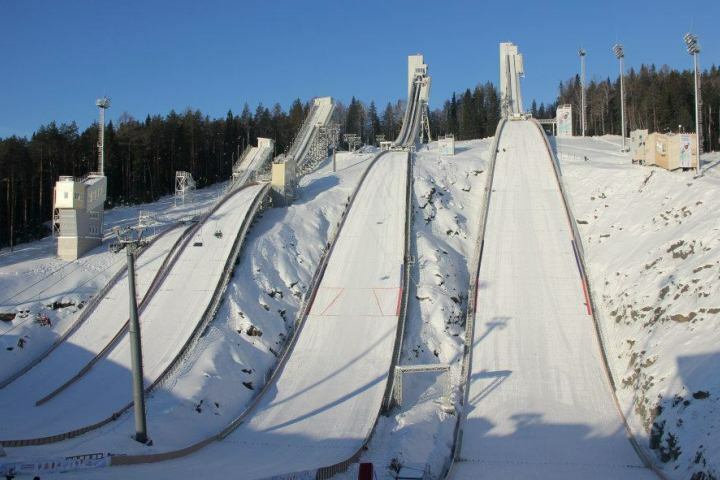 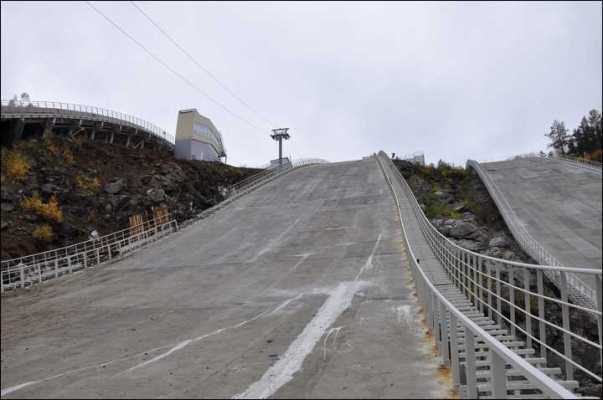 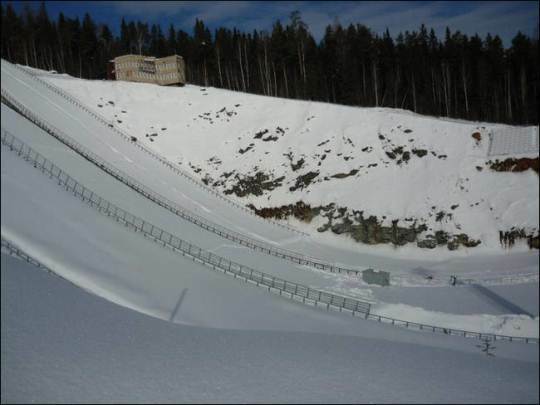 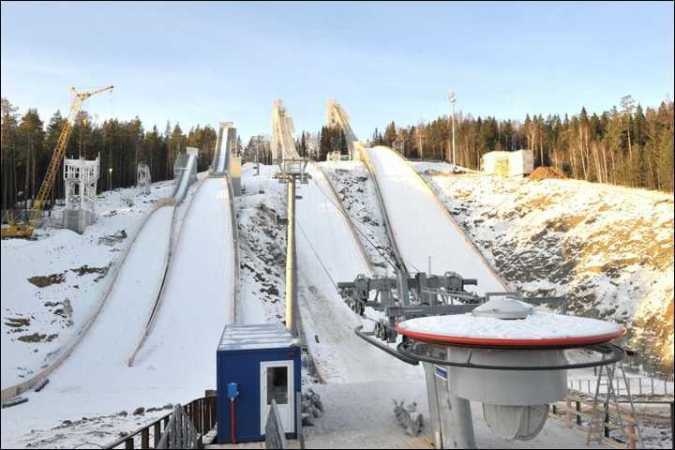 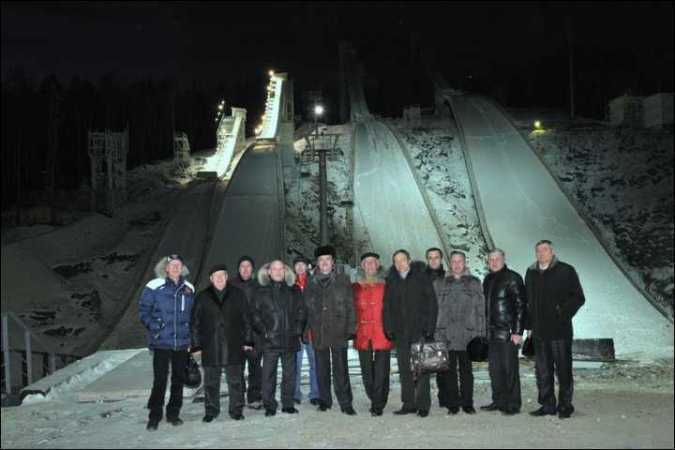 The final of ski jumping Continental Cup was organized at Nizhniy-Tagil on March 16 and 17 and in summer 2013 the first ever ski jumping Grand Prix in Russia was held there.